There are less than two weeks left before the April 15th tax filing deadline. While you are no doubt busy compiling the information and documents you need to file, as a senior, are you aware that taxes and estate planning often tie into one another? Many seniors may already have a comprehensive estate plan in place, but fewer take advantage of tax season to further review their planning goals. This is why we share with you a few of key estate planning considerations to help you prepare for this year’s tax season. First, did you know that uncompensated gift transfers can penalize you in the future? Unfortunately, for Medicaid purposes, this is true and it is important to avoid incurring this type of penalty if you may require Medicaid within five years. Any amount of money transferred without adequate compensation may violate a sixty-month window (“lookback period”) prior to needing long-term care and assistance with Medicaid, and potentially disqualify you for receiving public benefits. The Tax Code is different than the Medicaid law. While it may be acceptable for tax purposes to gift, it is not acceptable for long term care (Medicaid) purposes. If you wish to leave monetary gifts to beneficiaries upon your death, it is important to be aware that this may open up your estate to federal estate tax penalties. Remember, that today the transfer taxes begin when you transfer over $11,400,000. Third- beneficiary Issues: Before committing to such an important financial decision, consider whether any younger recipients could have any issues that would deem them as not responsible to receive the gift. Relevant issues such as bankruptcy, divorce, substance abuse, or incapacity may pose potential issues when they receive the funds. Consider discussing the benefits of a structured gift program or using a well drafted trust with an experienced attorney as an alternate way to help avoid these issues from creating serious consequences. Finally, we encourage you to take time to review your estate planning documents to ensure they still align with your wishes and needs. It is also important to discuss with an experienced elder law attorney regarding whether there are any new tax law changes in your state that may affect your estate plan or that you need to be aware of before filing your tax return. 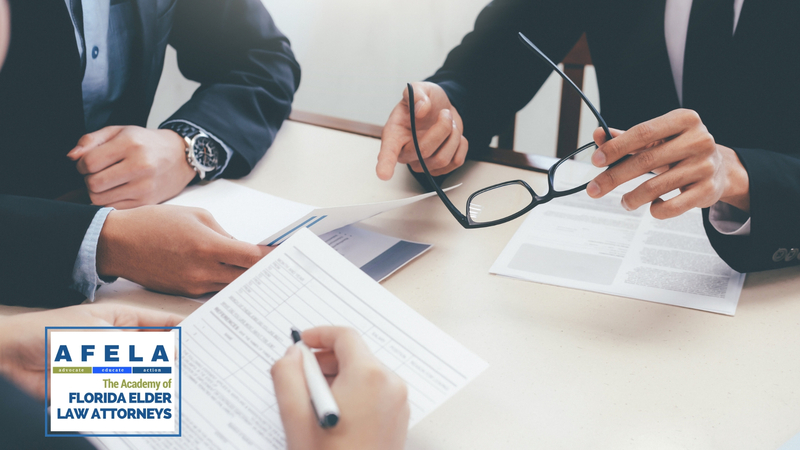 If you have questions or are ready to discuss your legal planning needs, do not wait to contact one of our experienced Florida elder law attorneys. You can click here to find an attorney in your area.